University of Swabi KPK Jobs March 2019 is offered by the organization of KPK JobsSwabi JobsThe News Newspaper JobsUniversity of Swabi Jobs. The Working hours for University of Swabi KPK Jobs March 2019 is 8 hours a day and 40 hours a week. 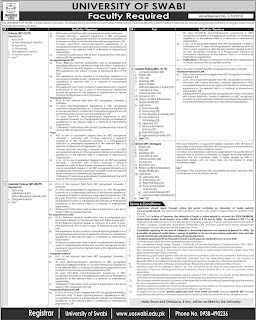 So, University of Swabi KPK Jobs March 2019 is a fulltime job. 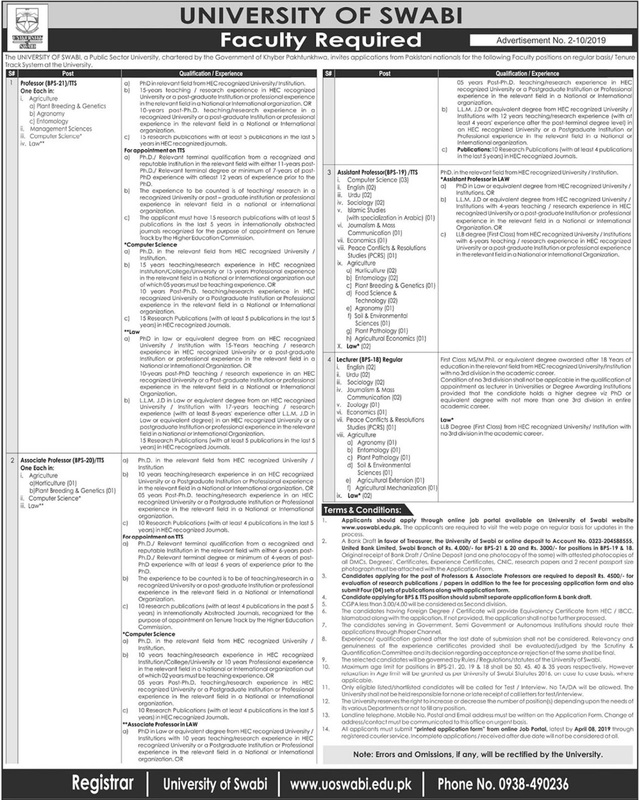 The advertisement of University of Swabi KPK Jobs March 2019 contains complete information about job specifications, job description etc. which is published in Different Newspapers dated March 20, 2019. If you are looking for University of Swabi KPK Jobs March 2019, you may find at this page all required information. Multiple positions are vacant for persons having similar qualification, experience and expertise. The posts of Professor, Associate Professor, Assistant Professor, Lecturer are currently vacant. In order to forward your applications, it is intimated that the applications following the instructions given in the job advertisement must receive upto 8th April 2019.